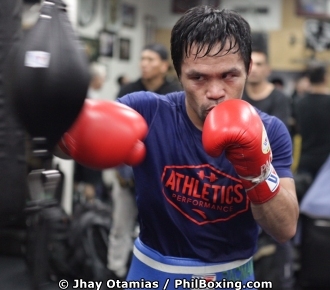 LOS ANGELES -- Filipino boxing legend and Philippine senator Manny 'Pacman' Pacquiao works out in Los Angeles Monday as he closes his camp before leading his team and entourage in a motorcade going to Las Vegas Monday afternoon (Tuesday morning in Manila) as his fight against Adrien Broner of the United States enters its final week. 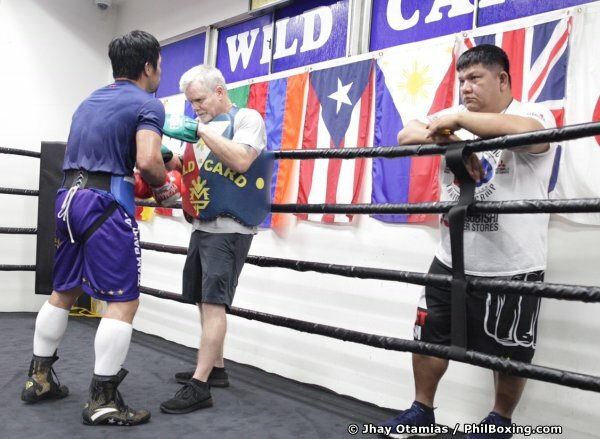 Pacquiao and Broner will meet on Saturday, Jan. 19 (Sunday, Jan. 20 in Manila) at the MGM Grand Garden Arena with Pacquiao's WBA welterweight belt at stake. Photos by Jhay Otamias and Wendell Alinea. Manny Pacquiao runs in spite of the rain Monday morning in Los Feliz area in Los Angeles. 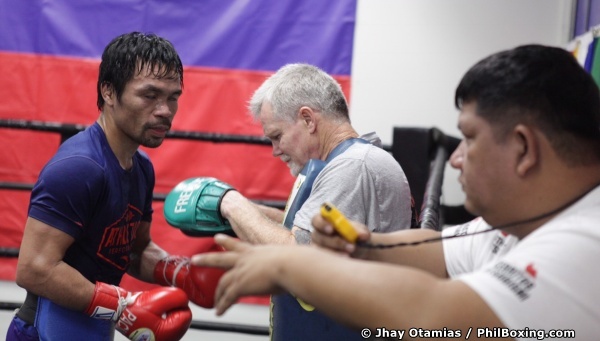 Manny Paquiao does the mitts with trainer Freddie Roach as lead trainer Buboy Fernandez looks on during Pacquiao's Monday afternoon training session at the Wildcard Gym in Hollywood.